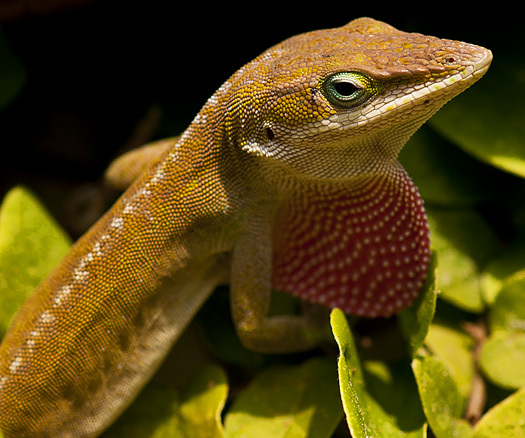 Green Anoles range from Key West to North Carolina, which is where I was for the past several days. This little guy was hunting in a vine in Wilmington, NC when he thought he would show my lens who was boss. Pretty scary, huh?